“He’s a project … second-best quarterback in the draft … not pro ready!” Such were the cries of many draft analysts in the first quarter of the year. Of course, they were talking about Marcus Mariota. Many so-called “experts” such as Bucky Brooks, had Mariota falling to the late teens before being drafted. Many others saw him as playing second fiddle to Jameis Winston, questioning his ability to learn a pro-style offense or to be a true leader. Despite all the negatives, he was drafted with the No. 2 overall pick and now his coaches and teammates in Tennessee have something to say. The Titans are realizing just how accurate Mariota can be. In his article for NFL.com, Chris Wesseling quoted the Titans’ wide receiver coach Shawn Jefferson as saying, “No. 1, it’s his accuracy … No. 2, he’s come in and grasped the offense. And No. 3 is the way the guys respond to him, the way he’s able to go into that huddle and take control.” And stated “… I am just giddy about his future going forward.” Jefferson also called Mariota “deadly accurate,” with veteran wide receiver Harry Douglas agreeing with his assessment. 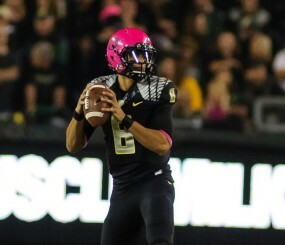 Jefferson then added, “… Douglas recently raved about the “unbelievable accuracy” Mariota showcased in OTAs and minicamp.” Mariota’s college stat line supports the idea that he is “deadly accurate” and has “unbelievable accuracy” because he completed more than 68% of his passes last season. But the more interesting part to me is how Jefferson spoke about Mariota grasping the playbook and how his new teammates have responded to him. Even with reports coming out that the Titans are, “studying Mariota’s college scheme … the offenses of the Eagles, Dolphins and Bengals to create a system that will best enhance their new quarterback’s unique skill set,” it’s still a big deal that he is picking up the offense so quickly. 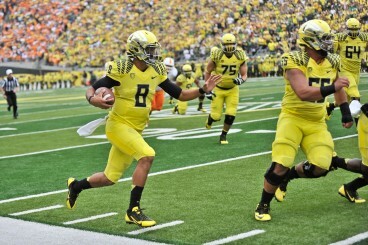 Whether running or throwing, Mariota is always a playmaker. Moreover, Jefferson praised Mariota’s ability to take control of the huddle and have the players respond to him–a nice metaphorical slap to the face of his doubters. It’s always nice to see reality destroy the negative preconceived notions about players prior to the draft. 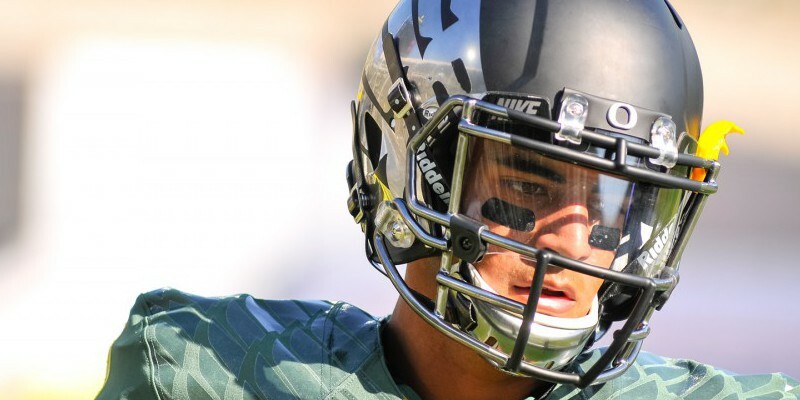 Although he isn’t the most fiery player, Mariota is a superb leader. Although the praise heaped on Mariota should be no surprise to us who have been watching him every Saturday for the last 3 seasons, it’s great to see it happen so soon and with such magnitude. Thankfully, the pre-season will be upon us leading to the regular season — then we can bask in the glory of Mariota against all odds.